The Credit Union Foundation of BC has four trustees whose terms will expire at the 2018 AGM; they are Gene Creelman (Interior Savings), Gus Hartl (Aldergrove), Dave Lanphear (Envision) and Catherine Ludgate (Vancity). All four have indicated they wish to seek another term on the board. Following our expansion of the board from nine to twelve trustees (2016) we are now in the final stages of moving all trustees to three-year terms, resulting in four trustees up for election each year. 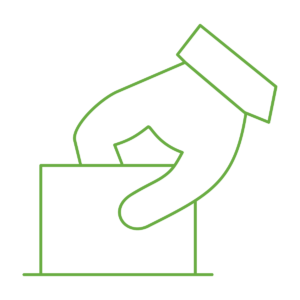 Should you be interested in learning more about the nomination process and are considering running for a trustee position, the details and application form are provided here. The deadline to receive applications is April 10th, 2018 followed by the election at the AGM. Should you have any questions, please contact us by email at [email protected] or call 604.714.6672.